What happens when you notice that your pillow bag or stand up pouch is not sealing correctly? Obviously, you want to efficiently troubleshoot and fix any issues with the seal as quickly as possible. Being efficient and reducing unplanned downtime will save you time and money. Not to mention, you value your customer and want to provide them a quality product with a company they trust. That means you need a strong and reliable seal on a bag that enhances the marketing value and protects your product. As mentioned, minimizing unplanned downtime is a top priority when faced with sealing issues. Chasing an incorrect solution is frustrating and adds to the cost of downtime. If you have a vertical bagger or are thinking of using one in your facility, it's helpful to know some myths commonly associated with heat sealing. Debunking these myths will offer important information on troubleshooting and insight into advances with sealing pressure. When a pillow bag or stand up pouch is not sealed thoroughly, it is often believed that there is not enough heat applied to the bag. Typically, one of the first things that occurs when there is an issue with the seal is that the operator increases the heat. This can be effective but only if the programmed temperature is too low. If increasing the heat does not correct the problem, there are other areas you can look at that may provide a fix to the situation. There may be too much dust or debris in the sealing area. This would require cleaning the seal bars. The sealing pressure is low and will need to be readjusted. Sometimes the heating cartridge or temperature probe is defective and will need to be replaced. 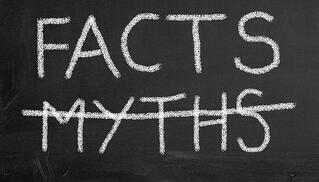 Myth #2 - If the bag is not sealing, there must be something wrong with my VFFS. Your film also plays a big role in the sealing process. The vertical form, fill, seal machine will have a jaw profile created specifically for the type of film you will be using and the bag you will be making. The serrations created for the profile are based on the structure of the film. This is why when changing the film or film supplier, it can potentially affect the sealing process. You will want to verify the film structure is the same or have a new jaw profile created for the film type you will be using. One recent example of this issue that came in to play was with a company who needed to change their film to accommodate a product that was microwaveable. The new film structure allowed for this change to the product and package, however, the jaw profile was now mismatched and a new serration pattern needed to be made for this film structure. Creating a new jaw profile solved any issues they had with seal integrity due to the change in film type. What we have typically seen with sealing systems is that VFFS machines apply sealing pressure through springs or air cylinders and can only be set through manually changing these items. Different sealing jaw profiles would require different pressures and each bag size changeover would require manual intervention. Without changing the pressure, the seal would not be stable or strong enough. Rovema’s method of changing the seal pressure is via our servo driven jaws. With this technology, the sealing force can be directly changed on the HMI monitor which adjusts the servo drives. Because of the servo system, Premium Seal technology allows the operator to adjust the exact characteristics of the sealing process by choosing sealing time, sealing position, sealing force and cooling position in the sealing cycle which is all done on the HMI. Premium Seal also offers the operator the ability to change the sealing pressure within the seal time offering greater flexibility and seal integrity of film structures. This saves time, is more efficient, repeatable and provides a better seal quality. We understand that part of your production goals likely involves decreasing unplanned downtime. Our desire is to help you further that goal by providing information that can be useful in operations. Let us know if you have had any experiences with these situations! We’d love to hear your story.